I am from the great state of Texas. We are currently under threat from Hurricane Harvey, as I'm sure you've heard on the national news. I thought it would be interesting to find out just how many hurricanes I have lived through. And, in case you aren't from a coastal state, a tropical storm can cause just as much, if not more damage due to flooding and winds. I can chronicle my life in storms. I suppose that should make me sad, but it is what it is! September 20, 1967 - Hurricane Beulah - makes landfall just north of the Rio Grande. $1.1 billion dollars in damage and 58 or 59 deaths. I was just a little baby. July 23, 1968 - Tropical Storm Candy - causes flooding, loss of crops, and tornadoes. August 3, 1970 - Hurricane Celia - makes landfall near Corpus Christi. Hundreds of millions of dollars in damage, about 25 deaths, and at least 460 injuries. September 16, 1970 - Tropical Storm Felice makes landfall in Texas, not sure where. September 15, 1971 - Hurricane Edith hits Sabine Pass and Hurricane Fern makes landfall in Freeport shortly after being downgraded to a tropical storm. September 4,1973 - Tropical Storm Delia - hits Freeport, loops around, and hits Freeport again. Six days later, a different tropical depression hits Freeport again. Causes millions of dollars in lost crops. September 9, 1974 - Hurricane Carmen - does not hit Texas directly but caused rough weather conditions in East Texas. August 31, 1975 - Hurricane Caroline - makes landfall near Brownsville. This is the first hurricane I remember as it was near the time my grandfather passed away. September 22, 1977 - Hurricane Anita - makes landfall in East Texas. I remember this because it happened the day before my 12th birthday. July, 1978 - Tropical Storm Amelia causes 30 deaths. August 1, 1978 - Tropical Storm Debra - makes landfall in Beaumont. July 24, 1979 - Tropical Storm Claudette - Alvin, Texas (not far from where I am now) set the record for most rain in a 24 hour period. 42 inches (1100 mm). September 1, 1978 - Tropical Storm Elena - makes landfall in Sargent. Causes 2 deaths due to flooding. September 20, 1979 - Tropical depression makes landfall near Brownsville. August 10, 1980 - Hurricane Allen - makes landfall near Brownsville at a category 3 - Spawns 12 tornadoes across Texas. Every structure in South Padre Island was destroyed. Causes 7 deaths and $600 million in damages. I was just about to start my sophomore year of high school. September 5, 1980 - Tropical Storm Danielle - makes landfall at Galveston. One death due to flooding. November 1980 - Hurricane Jeanne - The worst flooding was in Galveston. 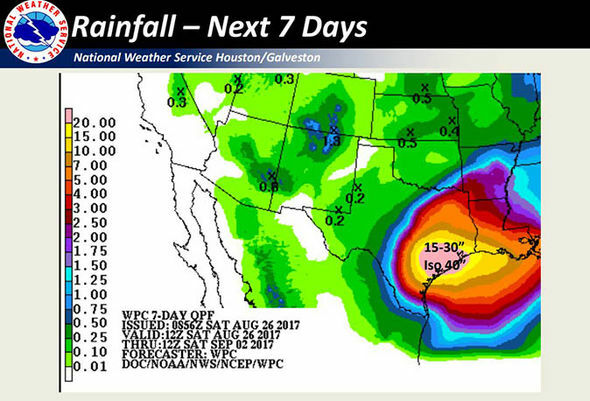 August 28, 1981 - Tropical Depression 8 - widespread flooding from Houston to Seguin (I lived there for a year, but not until the 90's). Floods cost $21 million in damage. October 13, 1981 - Hurricane Norma - Doesn't directly hit Texas, causes 3 deaths and $50 million in damages in Texas. September 11, 1982 - Tropical Storm Chris - makes landfall at Sabine. Causes tides 5-6 feet in height. August 18, 1983 - Hurricane Alicia - landfall at Galveston. Wind gusts in Galveston were as high as 102 mph. It spawns 23 tornadoes. At the time, it was the costliest hurricane in Texas. I remember it so well. I was 2 weeks away from leaving for college. We were without power for 10 days along with about 250,000 other people. August 28, 1983 - Hurricane Barry - makes landfall in Brownsville as a category 1. October, 1983 - Hurrican Tico - does not hit Texas directly but causes $93 million in damages and 1 death due to heavy rainfall. September, 1984 - Tropical Storm Edourdo - does not hit Texas directly but causes severe flooding. October 11, 1985 - Hurricane Waldo - does not hit Texas directly but causes flooding across West Texas. We were asking, "Where's Waldo?" October, 1985 - Hurricane Juan - hits Southeast Texas. Causes one death, high tides, and severe flooding. June 26, 1986 - Hurricane Bonnie - makes landfall in High Island not too far from Galveston. Causes 4 deaths and 4 tornadoes. August 6, 1986 - Tropical depression - hits Refugio. September 23, 1986 - Hurricane Newton - hits the Texas Panhandle all the way down to Wharton. This is my 21st birthday. October, 1986 - Hurricane Paine - heavy rainfall across Northern Texas. October 22, 1986 - Hurricane Roslyn - creates flooding along the Texas coast. August 10, 1987 - An unnamed storm - hits High Island. August 12, 1988 - Tropical Storm Beryl - causes flash flooding in East Texas. September 2, 1988 - Tropical Depression 10 - hits Southeast Texas, Galveston in particular. September 17, 1988 - Hurricane Gilbert - does not directly hit Texas, but causes heavy rains and 29 tornadoes. The most damage is in San Antonio. I remember this well because we were trying to plan my grandmother's funeral. June, 1989 - Tropical Storm Allison - makes landfall at Freeport. Causes 3 deaths and $400 million in damages. I remember this because I had just completed my first year of teaching and I was teaching summer school. August 1, 1989 - Hurricane Chantal - hits High Island (near Galveston). Causes 2 deaths. October, 1989 - Hurricane Raymond -causes rainfall in North Texas. October 16, 1989 - Hurricane Jerry - makes landfall at Galveston. Causes 3 deaths and $70 million in damages. October 3, 1990 - Tropical Storm Rachel - hits Lubbock and Big Bend National Park. July 6, 1991 - Tropical Depression 2 - heavy rainfall in Anahuac. August 24, 1992 - Hurricane Lester - Causes heavy rainfall in North Texas. June 20, 1993 - Tropical Storm Arlene - makes landfall near Padre Island. Causes 1 death and $55 million in damages. September 14, 1993 - Hurricane Lidia - Causes tornadoes in Denton and Arlington and injures 5 people. October, 1994 - Hurricane Rosa - Considered 100 year event. Mostly affects Cypress. Causes 22 deaths and $700 million in damages. July 31, 1995 - Tropical Storm Dean - makes landfall at Freeport and Monroe City. August 12, 1995 - Tropical Storm Gabrielle - makes landfall near the Texas/Mexico border. September 16, 1995 - Hurricane Ismael - hits the Texas panhandle. August 23, 1996 - Hurricane Dolly - does not directly hit Texas, but causes heavy rains. I remember this because it was less than 2 months after I gave birth to my twins. October 4, 1996 - Tropical Storm Josephine - causes severe rainfall from Brownsville to Galveston. August 23, 1998 - Tropical Storm Charley - Lands at Port Aransas. Has an amount of rain that hasn't been seen since Claudette in 1979. September 11, 1998 - Tropical Storm Francis - lands at Corpus Christi. Causes 5 foot tides and $500 million in damages. October, 1998 - Hurricane Madeline - hits central Texas. Causes 31 deaths and $1.5 billion in damages. August 23, 1999 - Hurricane Brett - makes landfall at Padre Island. Causes 4 deaths and $25 million in damages. June 5, 2001 - Tropical Storm Allison - makes landfall near Freeport and sticks around in south Texas for days. I remember this one well. So much damage! Patients being evacuated from hospitals in Houston, power outages, catastrophic flooding. It was so bad, they retired the name Allison! Friends lost their homes and cars. We were lucky not to have had damages. 23 deaths and $4 billion in damages. August 9, 2002 - Tropical Storm Bertha - makes landfall near Kingsville. September 7, 2002 - Tropical Storm Fay - makes landfall near Port O'Connor. Causes 5 tornadoes and injures 3 people. June 30, 2003 - Tropical Storm Bill - hits Bolivar Peninsula near Galveston. July 15, 2003 - Hurricane Claudette (a repeated name) - makes landfall at Matagorda. High winds cause most of the damage. One death and $181 million in damages. August 31, 2003 - Tropical Storm Grace - makes landfall near San Luis Pass. 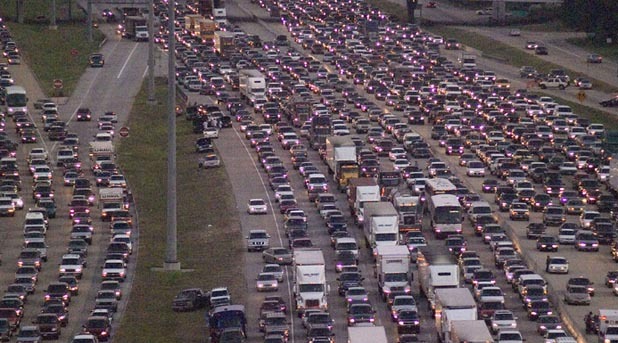 September 24, 2005 - Hurricane Rita - makes landfall between Texas and Louisiana. Causes major flooding in Port Arthur and Beaumont. I remember this one so vividly because we evacuated for this. On my 40th birthday, we head to Port Lavaca where we stay in a crummy hotel and eat gas-station food for a week. 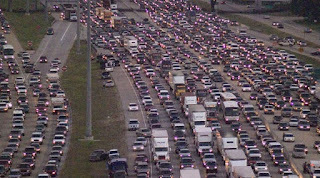 Threat of this hurricane caused the biggest evacuation, 300,000 people, in US history. Glad we went south! Look at this! And what a way to be welcomed to the 40's! Something good that came of it was that I met several other bloggers online who live near me, and we became friends in real life! 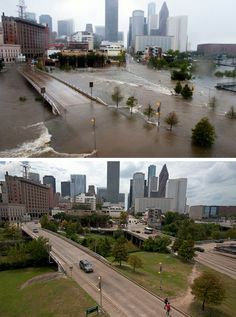 September 2, 2006 - Hurricane John - while not a direct hit, it drops tons of rain on Northeast Texas. August 16, 2007 - Tropical Storm Erin - makes landfall in Lamar. 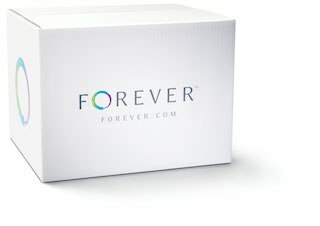 Causes 9 deaths and $49 million in damages. September 13, 2007 - Hurricane Humberto - makes landfall at the Texas/Louisiana border. Causes one death and $50 million in damages. July 23, 2008 - Hurricane Dolly (yes, another Dolly) - makes landfall at South Padre Island. 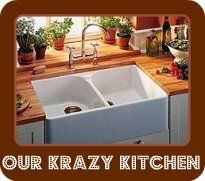 Causes structural damage, widespread flooding, and power outages. August 5, 2008 - Tropical Storm Edouard (another one of these, too) - makes landfall near Port Arthur. 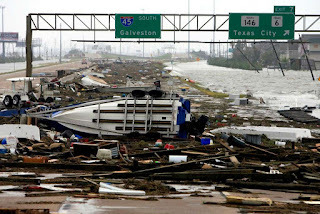 September 1, 2008 - Hurricane Gustav - hits the Texas/Louisiana border. 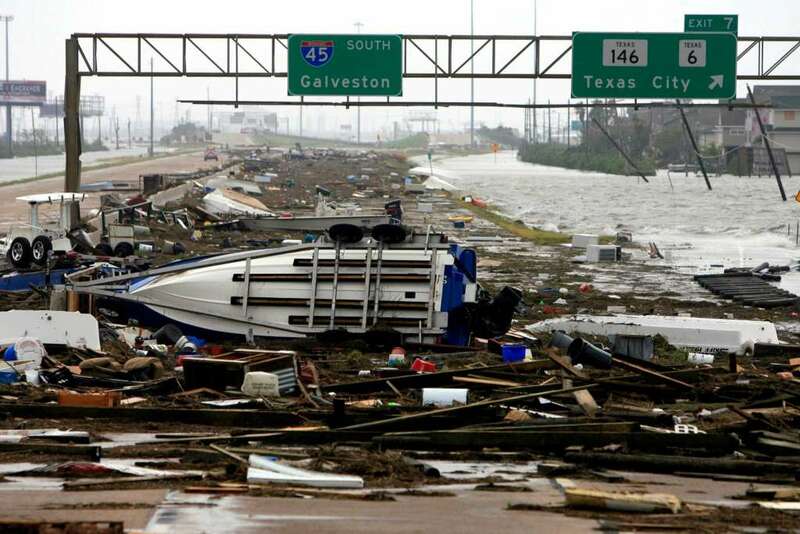 September 13, 2008 - Hurricane Ike - makes landfall at Galveston at a category 2. The storm surge is as high as 20 feet. 2.6 million people lose power. I remember this one, also. We head to Corpus Christi which was far enough on the other side of the hurricane that we didn't get rain while we were there. But here... So many friends lost their homes. So many businesses had to close. It hit the area where we were pretty hard. We only lost some roof shingles and a fence. Freeways were under water. Boats ended up in roads. 2.6 million people were without power. This hurricane killed 84 people and cost over $19 billion. July 8, 2010 - Tropical depression 2 - makes landfall at South Padre Island. September 7, 2010 - Tropical Storm Hermine - after hitting Mexico, it hits the Texas coast at Port Aransas, the Rio Grande valley, and other points on the coast. Causes 5 deaths and $250 million in damages. June 30, 2011 - Tropical Storm Arlene (another one) - hits South Texas near Cabo Rojo. July 30, 2011 - Tropical Storm Don - makes landfall at Baffin Bay (Gulf coast). September, 2011 - Tropical Storm Lee - affects Eastern Texas the most. Winds ignited wildfires which destroy 1700 homes and businesses. 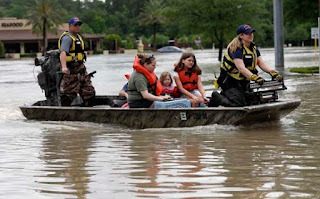 August 31, 2012 - Hurricane Isaac - causes rain in East Texas, Galveston Bay, and Trinity County. June 16, 2015 - Tropical Storm Bill - makes landfall at Matagorda. 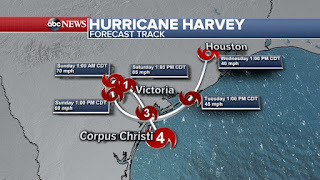 August 25, 2017 - Hurricane Harvey - the extent of Harvey has yet to be determined although as of today, it has been downgraded from a category 4 to a tropical storm. 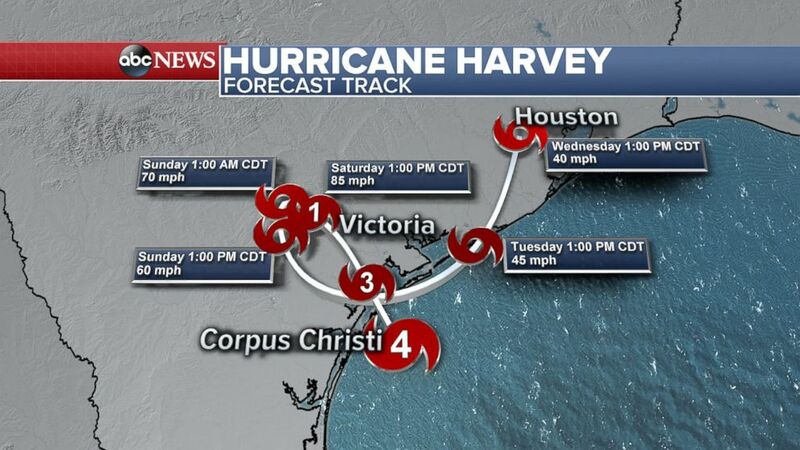 Landfall at Rockport near Corpus Christi and lots of damage in Port Lavaca (our previous evacuation site) and Port Aransas. Tornadoes are touching down in various places. We're under a tornado warning and a flash flood warning currently. We had hours with no rain, but it has started again. We just started school, and already it's cancelled for now. If I counted right, that's 38 hurricanes, 32 Tropical storms, and 8 lesser storms in my lifetime in Texas. That's an average of 1.5 for every year of my life. So... it's been a part of my life for as long as I remember, and I've only evacuated twice. I'm sticking it out! Pray for Texas!